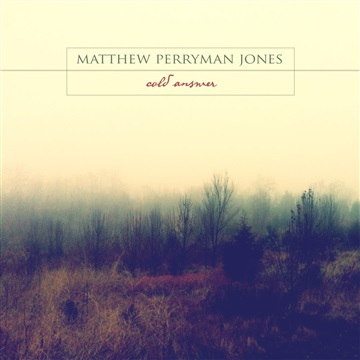 Of his most recent release, American Songwriter wrote that, “MPJ’s songwriting acumen could easily be used as a musical template to demonstrate how less can be so much more. Land of the Living sounds cinematic and slowly worms its way inside your brain, feasts upon your emotions, and ultimately burrows down into your soul.” It could be said that Matthew makes soul music — not based on how it sounds, but on where it originates and where it resides. Originally from Pennsylvania, Matthew grew up in Georgia and cut his artistic teeth in the Atlanta music scene before heading north to Nashville. His debut release, Nowhere Else But Here, dropped in 2000, followed by three subsequent albums — Throwing Punches in the Dark (2006), Swallow the Sea (2008), and Land of the Living (2012) — three additional EPs and a handful of singles. Songs from across his catalog have been featured in dozens of film and TV placements, and tours have taken him across the U.S. and abroad to share stages with legends like Shawn Colvin and Patty Griffin, as well as the Ten Out of Tenn songwriter collective of which he is a part. Now, Matthew is embarking on what might be the ultimate test of his inner compass: making his fifth album with only himself, a guitar, some basic recording gear, and genius loci — the spirit of place. As he chases the ever-retreating horizon, Jones will stop, listen, and capture when and what the spirit of each place calls out to him. Pledge now to follow along on Matthew’s trip, collaborate with him on places he should travel next, and help him make this project a reality.